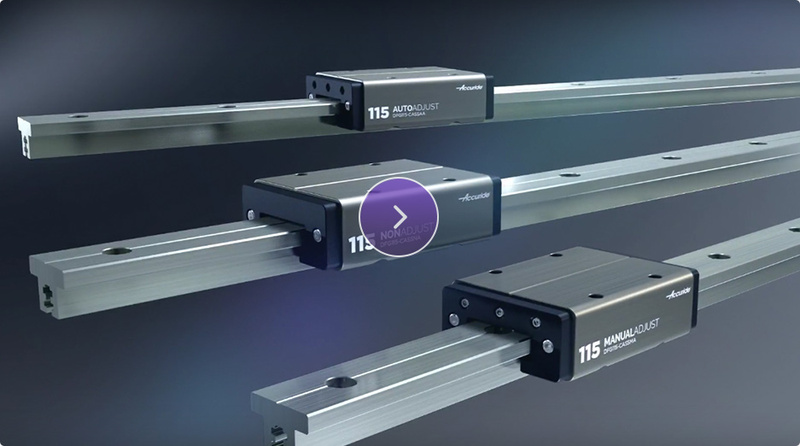 Accuride, the leading global manufacturer of telescopic slides and sliding systems, has developed friction guides that offer customers across industry a high performance, easy-to-use product and a cost-effective solution. Unlike a telescopic slide which utilizes ball bearings for smooth movement, friction guides use a plain bearing surface and no rolling elements. The lack of exposed moving parts makes friction guides ideal for extreme environments where dust and dirt might be present. Compared to equivalent recirculating ball bearing slides, they are lighter, easier to use and engineered to minimize stress and wear on the friction elements. There are three variants in the new friction guide range; non-adjustable, auto-adjust and manual adjust with all contact surfaces engineered to produce uniform wear. The height, width and hole pitches all refer to the ISO 12090 standard. Accuride is represented in Israel by Alexander Schneider.